After spending years in a cramped office space, the firm sought to create a more flexible working environment that would accommodate team collaboration. 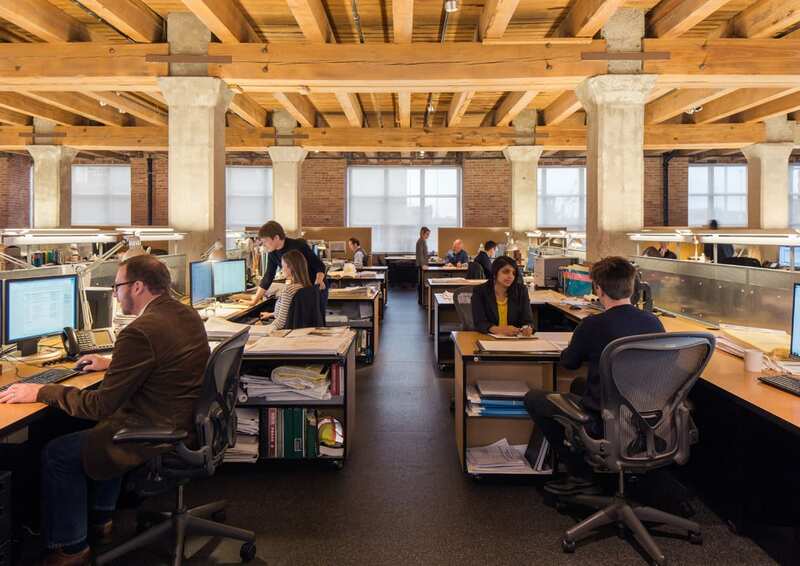 Booth Hansen adapted a former paper warehouse into a mixed-use office/condominium building in Chicago’s West Loop, transforming the ground floor space into the firm’s new office. The interior build out contains a combination of fixed work desks and mobile carts. Each work desk provides power, computer, and telephone access, while individual carts provide bookcase storage and an additional working surface. This allows teams to be reorganized into project teams, expanding or contracting as work demands. 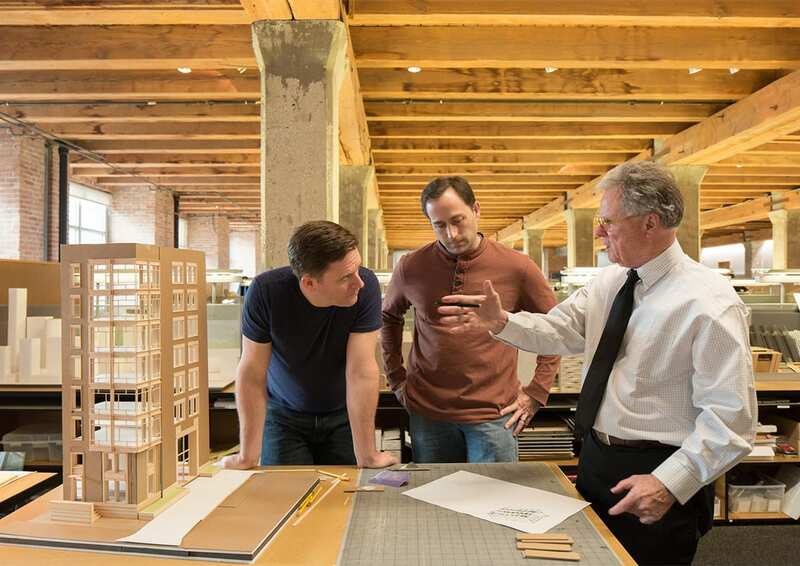 Sustainable materials include recycled rubber floor, formaldehyde free wheat boards for millwork, energy efficient florescent T- 5 fixtures, a minimal amount of paint coatings and sealants, regional materials, and certified, rapid-growing wood. 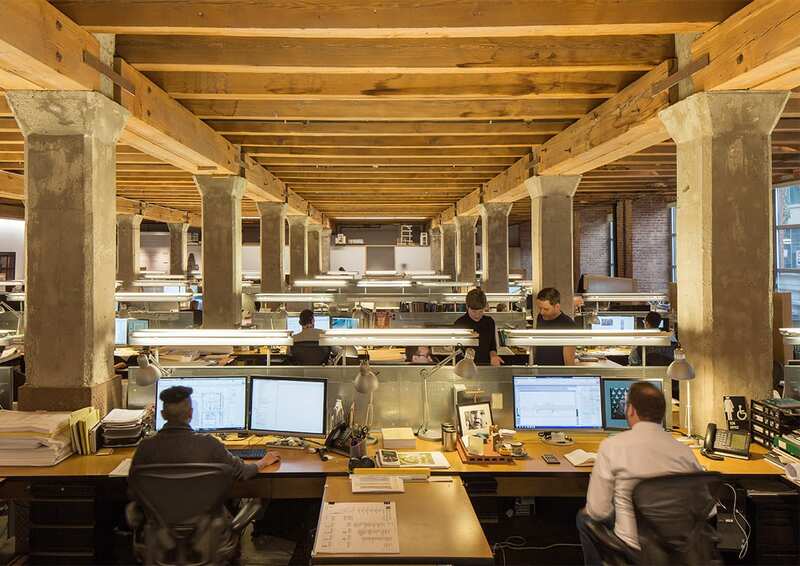 Daylight is maximized across the plan to provide a comfortable office atmosphere.